Devastating news for wildlife enthusiasts: Sudan, the world’s last male northern white rhino, has died. Ol Pejeta Conservancy and the Dvůr Králové Zoo announced the 45-year-old rhino was euthanized at the 90,000-acre non-profit wildlife facility in Kenya on March 19 after being unable to overcome age-related muscle and bone degeneration or debilitating skin wounds. “His condition worsened significantly in the last 24 hours; he was unable to stand up and was suffering a great deal,” Ol Pejeta wrote on their Facebook page. 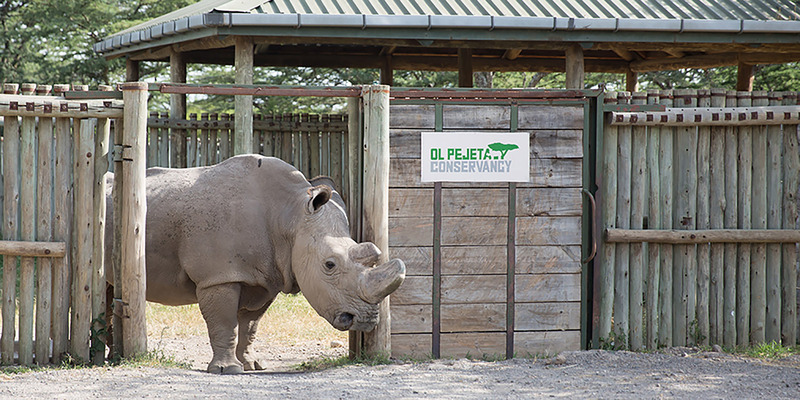 Ol Pejeta says Sudan escaped extinction of his kind when he was first moved to the zoo in the 1970s, and then sired two females, significantly contributing to the survival of his species. Before he was euthanized, they collected his genetic material in anticipation of advanced cellular technologies they might be able to use in future reproductive efforts. While Sudan died of old age, it’s worth noting that humanity is a main driver of the sixth mass extinction, which, according to a news report released last year, is killing off wildlife 100 times faster than normal. Sudan, the last male northern white rhino, has died.